The Business Process Execution Language (BPEL) is a process modeling language which uses standard control constructs to define a workflow. But, today‘s enterprises need to be agile to cope with increasing change, uncertainty and unpredictability. Therefore, automating agile business processes is still a challenge as they are normally knowledge intensive and can be planned to a limited degree. The execution order depends heavily on the case, which has to be performed. So instead of modeling all possible cases and situations which might occur in a knowledge intensive process we introduced an approach which uses semantic technologies and rules. Business rules can be utilized to allow for case-specific adaptation of process steps. A component was developed which allow during run-time rules to automatically detect the state of the case and to determine the necessary process adaptations. Today's enterprises need to be responsive to competitors, the market, organizational changes and changing customer requirements and need to response immediately. Agile enterprises are able to scope with increasing changes, uncertainty and unpredictability in the business environment. Although, the original concept of an agile manufacturing was popularized 1991 by the Iacocca Institute (Iacocca 1991), there is still a lack in supporting agility by information systems (Mutschler, Reichert et.al. 2006; Rymer and Moore 2006). 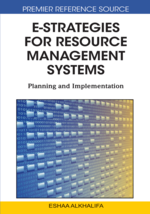 Several workflow management systems exists, which mostly provide process definition tools that presents the knowledge about the process using standard modeling elements like activities, roles or control flows elements (Mendling and Neumann 2005). This is suitable for production oriented processes, but it is ill-suited to deal with changes (van der Aalst and Jablonski 2000). Because, change is difficult, complex and risky according to unintended side effects. Every change of one part of the enterprise has an impact of another part, which leads to the choice, whether to make a change or abandon the competitive benefits of innovation because of the risk (Mitra and Gupta 2008). However, change may range from complete restructuring of the process definition to ad-hoc modification of a single process instance. Especially, knowledge-intensive tasks are performed in a fair degree of uncertainty in which they have to deal with exceptional situations, unforeseeable events and unpredictable situations. If possible at all, covering all possible situations and events, the process model would be highly complex and difficult to manage containing multiple decision points. So, knowledge-intensive processes can be planned to a limited degree (Faustmann 1998). The ability to have more freedom while performing a process instance is called flexibility (Sadiq, Sadiq, and Orlowska 2001).